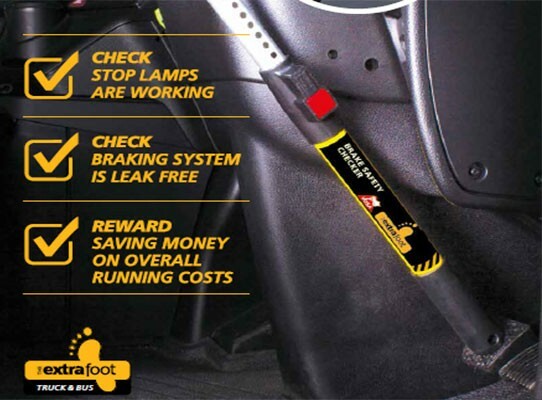 A relatively new kid on the block called brake imbalance could well be the culprit for many accidents in the past and will no doubt be responsible for many in the future, using the Extra Foot to help assist identifying one of the main culprits of brake imbalance, air leaks in the braking system makes sense in so many ways, if found early leaks can be repaired and the unthinkable could well be prevented, unfortunately commercial vehicles carry the can of the saying, prevention is better than cure more than others. 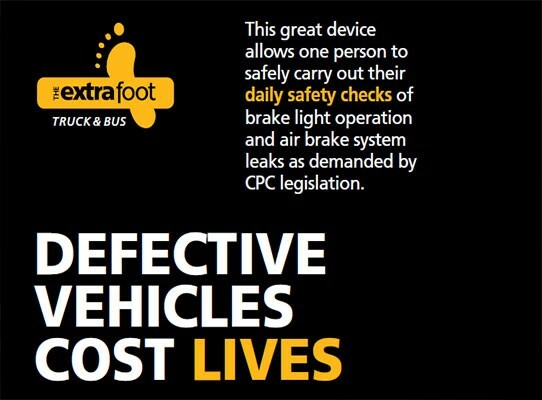 The Extra Foot has proven itself to assist a lone driver check proper brake lamp operation and for air leaks in the braking system as specified in DVSA regulations, it also enables the mirrors to be cleaned at any stage of journey for a clearer and safer vision. Cameras are growing evermore popular, especially on Municipal vehicles and buses, the superb Extra Foot camera cleaner allows them to be cleaned safely and properly so they can work to their most effectiveness. 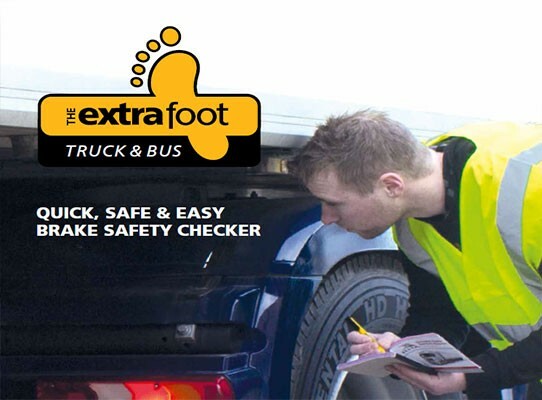 The Extra Foot was designed to assist the Transport Industry comply with their “O” licence undertakings of carrying out daily vehicle walk around checks, which are described as vital, essential and critical. For more information then please click here. We have been using the extra foot with our fleet for over a year now. 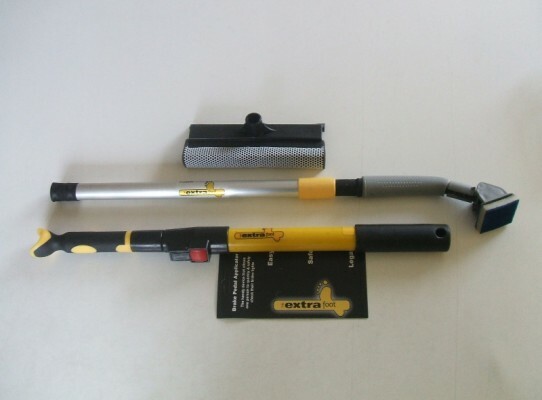 The drivers find it an essential tool for their daily vehicle inspections. It has saved our company and our drivers a lot of money! The Extra Foot tells all - it makes sense, when driving down the road what do you push to slow down? Doh!! Goods as described, well packed, quick delivery. Good communication, fast delivery, item as described. Checks your brake lights, dries your windows, checks for air leaks in braking system, clears your windscreens of ice no bother - perfect! I use the Extra Foot in my daily work repiaring Brake and ABS lights, I find it useful and easy to use. I would recommend this tool to everyone in the trade. This is a great device, I feel that every vehicle should have one. We would fully reccomend this product to any lorry driver or haulage company, save time and money, and is easy to use.The perfect answer to the enforcement boys. Fantastic tool, every company should have these for there trucks, easy to use, no more fines!! We use the Extra Foot in all of our lorries at Sherling Steel (N.I) ltd. its a great job. no more fines for faulty brake lights or air lines. I was stopped in England by vosa and i showed and proved how i carried out a walk-around check by using the Extra foot and they were amazed. Wouldn't leave the house without it amazing product. Is you vehicle safe and legal? Health and Safety Regulations are also satisfied that the industry is providing their employees with the equipment to do their job safely and properly. 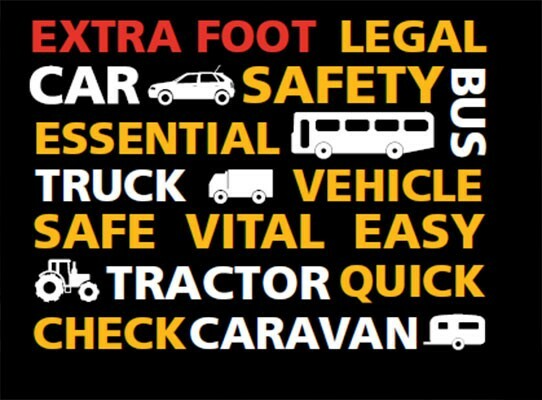 Designed to assist the Transport Industry comply with their “O” licence undertakings of carrying out daily vehicle walk around checks, which are described as vital, essential and critical.